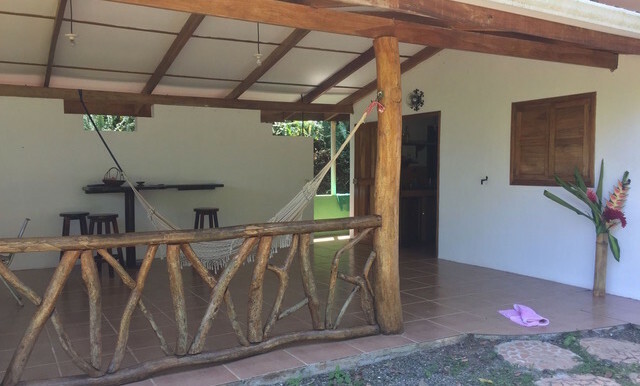 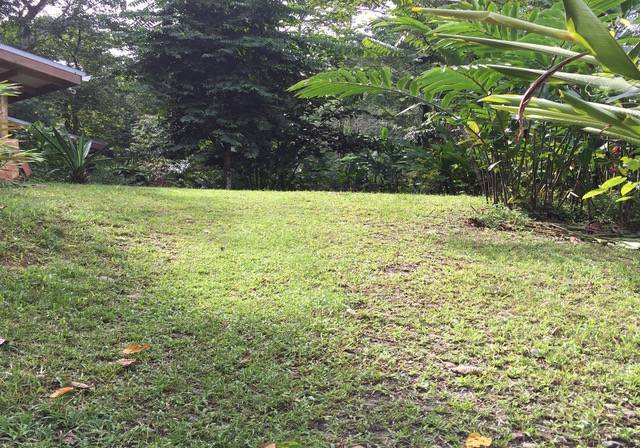 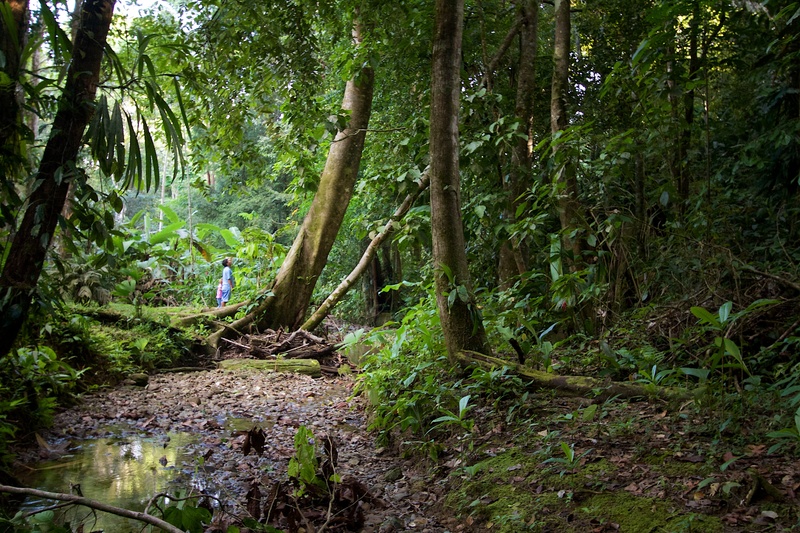 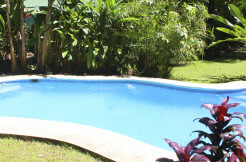 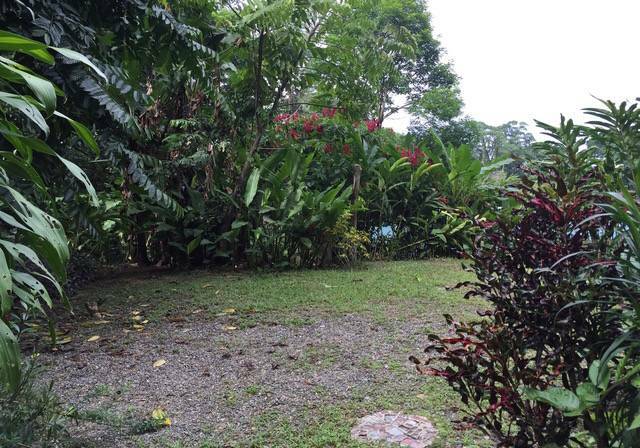 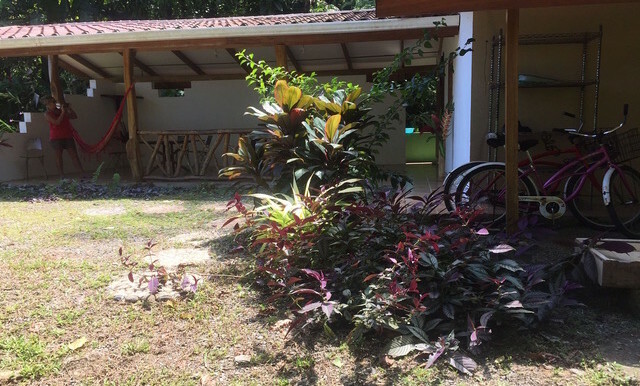 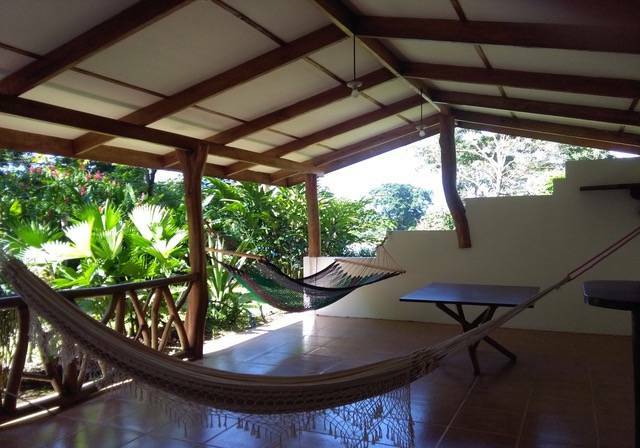 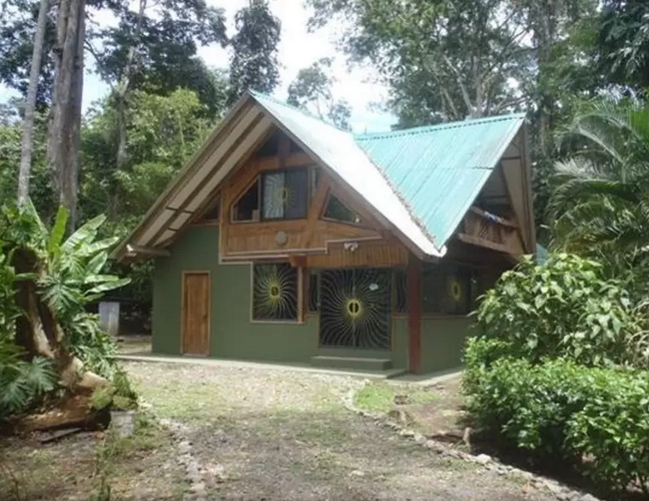 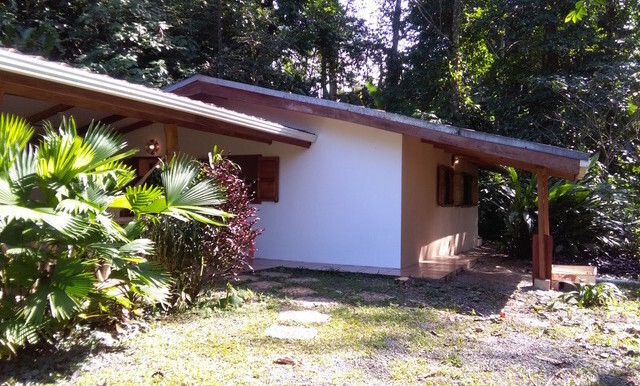 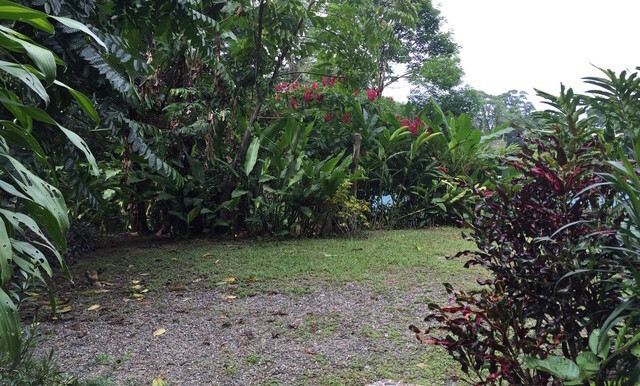 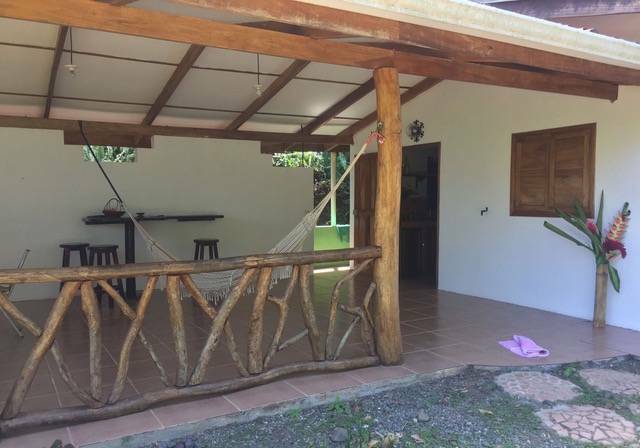 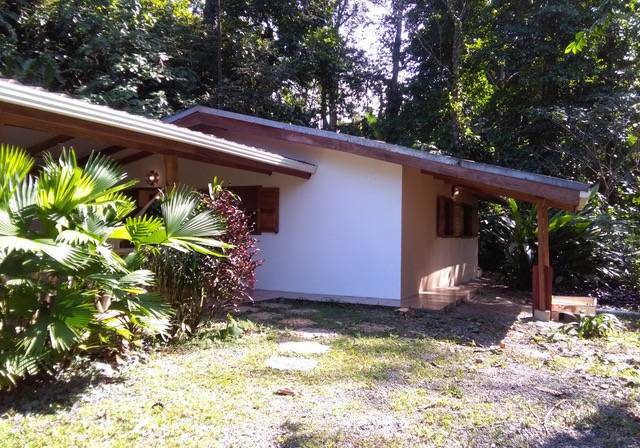 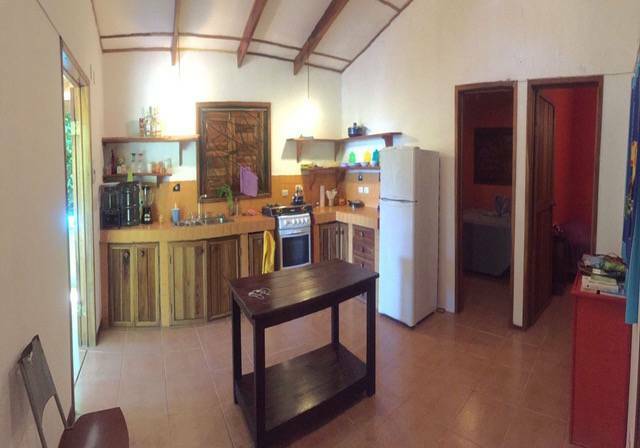 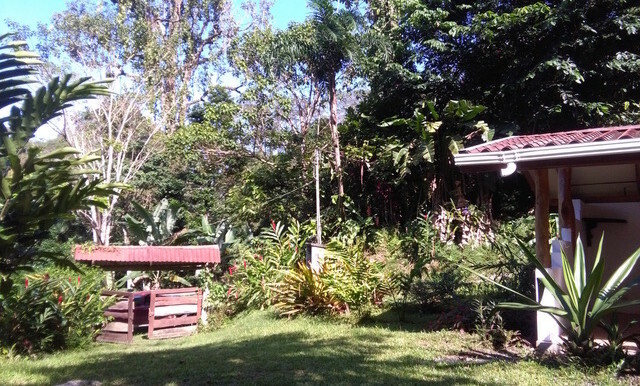 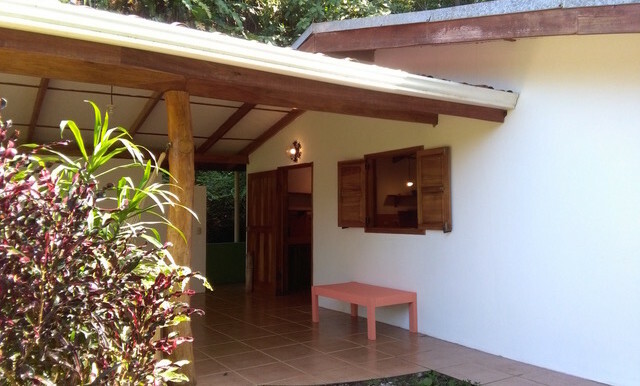 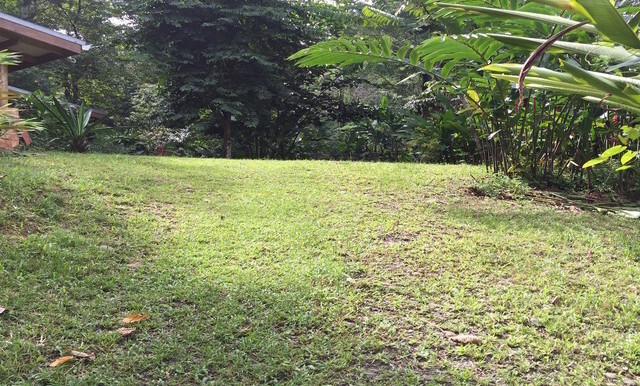 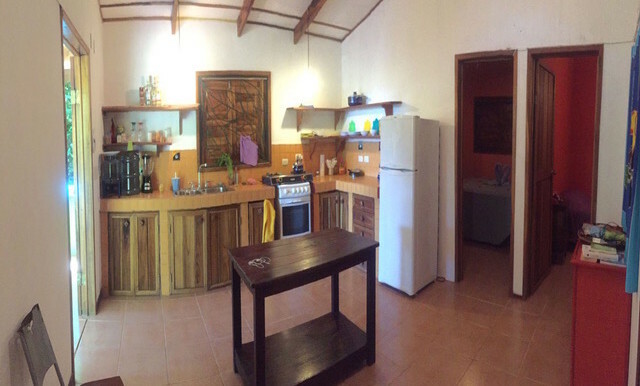 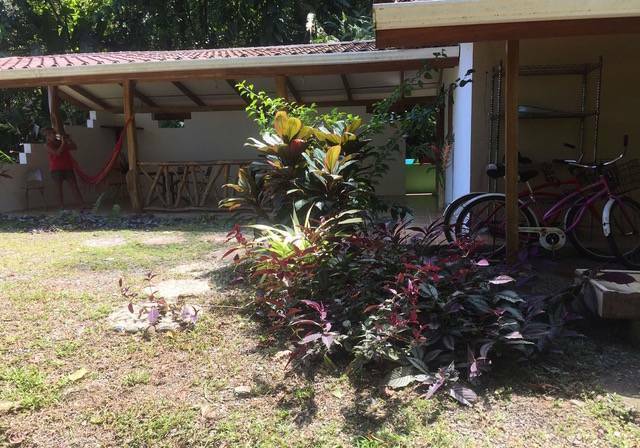 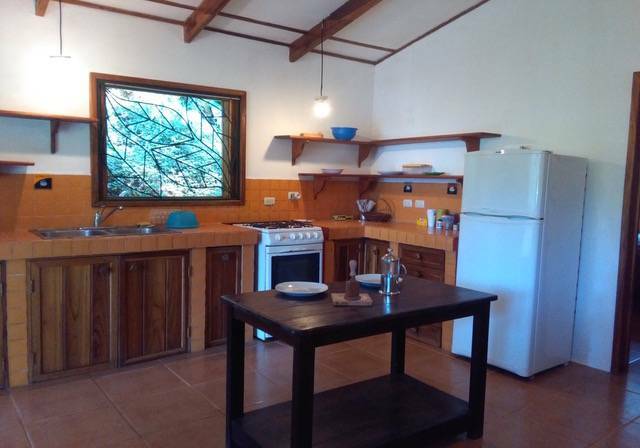 CASA DEL BOSQUE is a very beautiful home located in Playa Chiquita sitting on a small hill and surrounded by a lush rain forest jungle and beautiful trees. 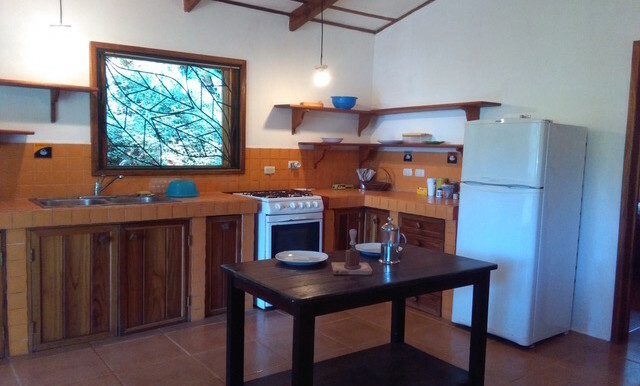 It consists of 2 bedrooms – 1 Bathroom, kitchen, bathroom, warehouse and a super big open hall. 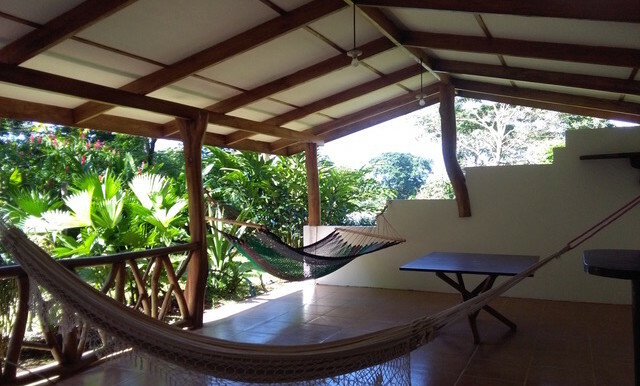 The home is sufficiently elevated to enjoy some of the cooler breezes of the afternoons and evenings. 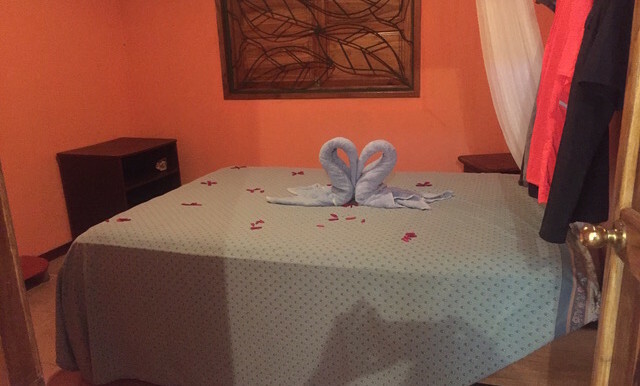 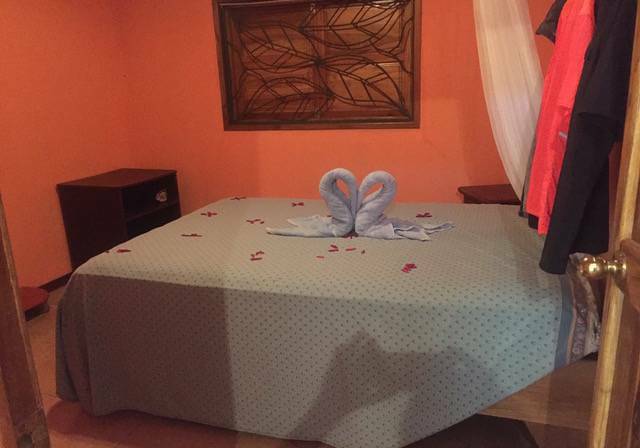 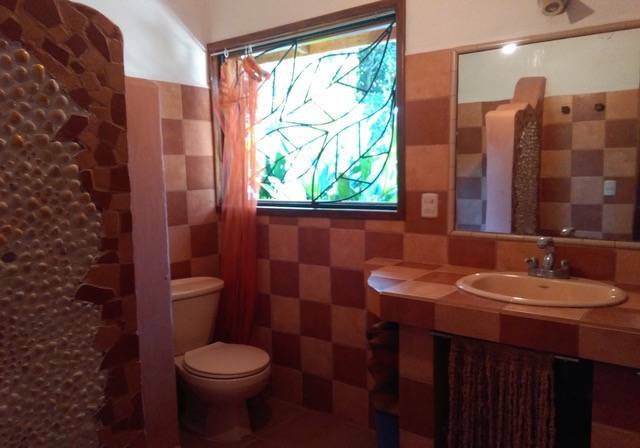 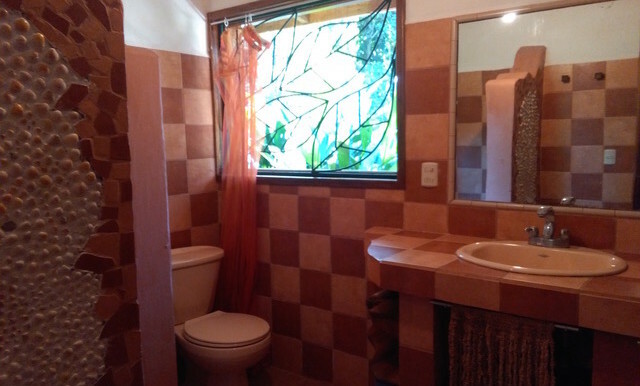 Located in a highly desirable neighborhood of Playa Chiquita, within a walking distance to the beach, nearby restaurants, grocery stores and local businesses – Also nearby to the daycare and local schools in Playa Chiquita. 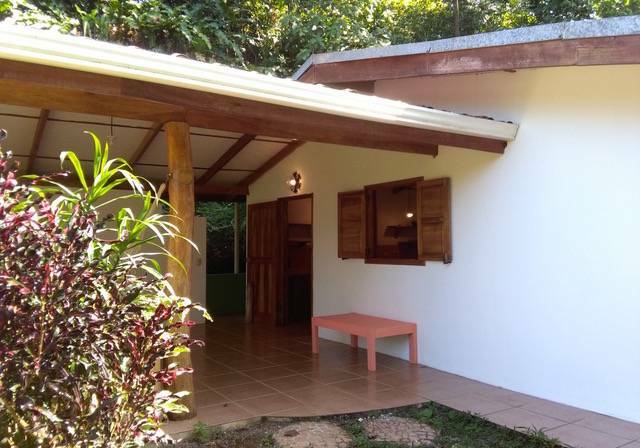 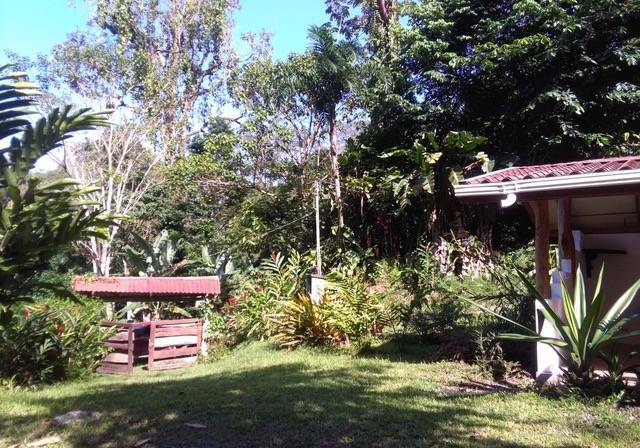 The home is offered semi equipped with beds, basic furniture, and some kitchen utensils.